In Bracieux, France, the same small village that inspired Alexandre Dumas to write about the fictive musketeer, Porthos, you’ll find a chocolate factory. Not far from Blois in the Loire Valley, chocolate-maker Max Vauché, has set up a chocolatier worth visiting. We took a tour of the contemporary facilities (where dried cacao beans stuffed into canvas sacks are rather mesmerizing transformed into fine, high-quality chocolates). The tour will take you through the entire chocolate-making process, from the harvesting of the beans abroad to the final artistic touches in France. The tour was especially interesting for its focus on the company’s solidarity-based collaboration with the African Island Sao Tomé and Principe (nicknamed “Chocolate Island” and located just off the Gabon coast). We visited the factory on a Sunday, so no one was actually making chocolate, but we were able to peek into the large “kitchens” and peer at the numerous machines used throughout the process. A weekday visit might be worth it in order to see (and smell) the grinding, churning and oozing chocolate. At the end of the visit, we tasted chocolates from all over the world- and learned that, like wine, chocolate really does have a different taste depending on where it’s from. Although cacao trees originated in Brazil, they are now abundant in tropical climates around the globe. Among the nearly endless samples, was some rather bitter 100% pure cacao. There were lots of helpful hints and tidbits to pick up. Some of them were about properly storing chocolate: keep in an airtight container (in a cool, dark place) and avoid putting in the refrigerator- faux pas I have to admit to. 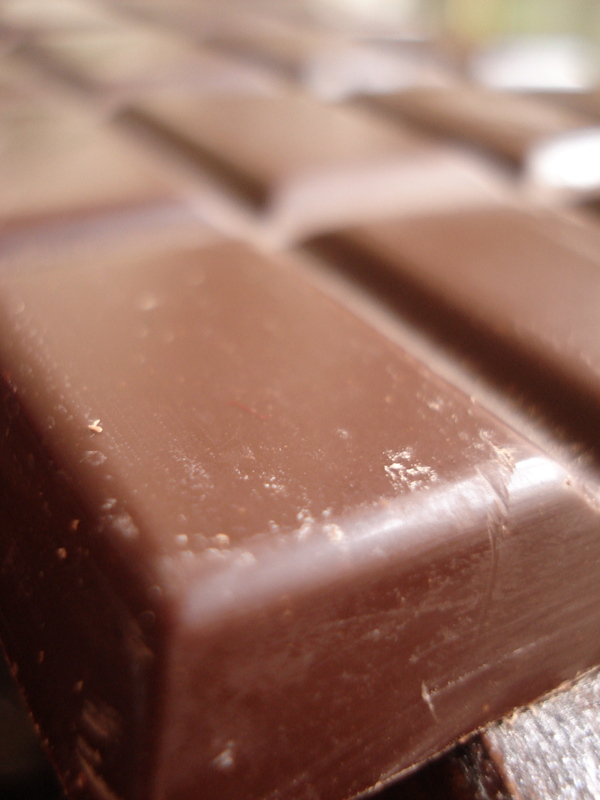 The reason: chocolate is very fragile and will take on the odor of the foods around it. Also, (like wine) cold temperatures will inhibit its aromas. This entry was posted in Travel in France and tagged chocolate, loire valley, travel. Bookmark the permalink. Thanks for the storage tips about chocolate. I’d love to visit that factory some day to taste all the different kinds of chocolate, too!